Living in a tiny house can not only be fun, personal, and cozy but economically and financially friendly as well. 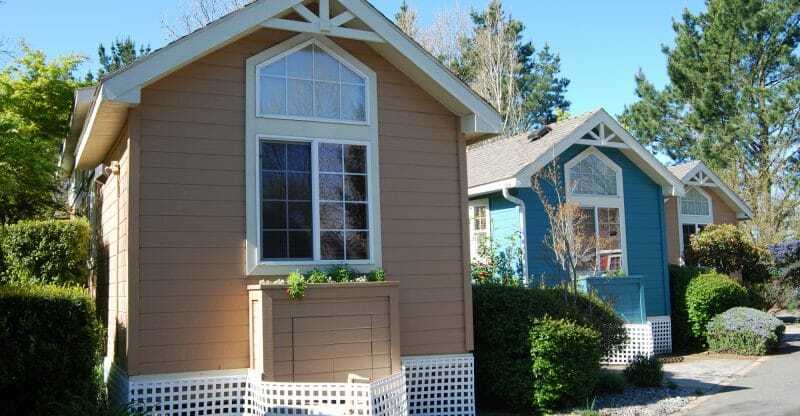 If that’s got your attention, here are a few types of tiny houses that you can consider before you get started. A tiny house on wheels is a great way to live portable and makes moving fairly straightforward because you just move the whole house. There are a few things you need to consider before you decide to put your tiny house on wheels though. What kind of trailer will you build your house on? What are the different laws on living in a tiny house on wheels? Where can you legally park your house? Can your car tow your house? Once you’ve got your answer to all of these burning questions, you can get started on the building process. This might seem like an off the wall idea, but many people are converting to using buses as legit tiny houses. You might be afraid that it won’t be spacious enough, but once you get all the seats out, you can really see how much room a school bus has. It also has plenty of natural light given that the walls are lined with windows. You can cover some of the windows with see-through coverings that way you can get privacy and light. If you feel like it, you can also keep some of the benches around as pieces of functional furniture. A cob home is a house built of clay, straw, and sand. You would think that this wouldn’t make for a very durable home, but it does. Most cob houses can stand for a lifetime if taken proper care of. There are some of these structures that have been standing around for over 500 years. Its all a matter of having the right roofing that won’t allow too much moisture to get in. If you’re living alone and going for super tiny, then there is nothing better than living in a wagon. Vardos were traditionally horse-drawn and covered in ornate designs and have rich color schemes. Today they are made to be pulled by vehicles and rounded at the top which helps maximize its space. This design is great to withstand strong winds. Trailer tiny homes are full tiny homes that are built on a trailer that is hitched to a truck. It’s a widespread design and was the first to get real media attention. The frames are typically built out of timber because it’s cost-effective and this design is usually chosen for its easy mobility. It doesn’t sacrifice any traditional home comforts for size. It’s a small, and comfortable way to live. Rather you DIY or hire someone there are a few things you will need to know before you start building your tiny house. We’ve got you covered with all the pointers you will need. There are many types of tiny houses, all of them comfortable, all of them affordable. There are many more designs where these came from. Search around for the best design for you. 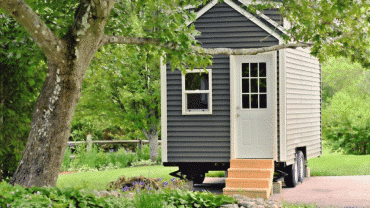 To learn more about how the tiny house craze caught on, and more, visit our blog. My wife and I stayed in a tiny home for a weekend and it was great. We are thinking about buying a portable one.